A not guilty verdict has been issued on the Politkovskaya murder case and it will be referred back to the investigation committee at the Russian Prosecutor General’s Office. The decision is based on the fact that the jury unanimously concluded on Thursday that the defendants’ guilt could not be proved and all three of them were released. According to the judge, Yevgeny Zubov, the defendants were therefore acquitted. 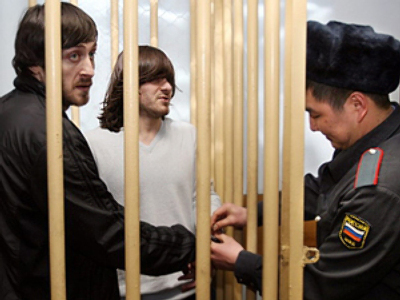 Dzhabrail and Ibragim Makhmudov, brothers form Chechnya, and a former police officer, Sergey Khadzhikurbanov, were charged with involvement in the murder. Nevertheless, their roles in it were not proven. The man suspected of pulling the trigger, Rustam Makhmudov, the brother of the two who stood trial, remains at large. The defendants are now entitled to seek compensation through a civil actio for unjustified legal prosecution. However, public prosecutor Yulia Safina said that the prosecution would appeal against the jury’s decision. Now, the case, together with all the relevant evidence, will be passed back to the investigation committee. According to the judge another preliminary investigation will be conducted in order to identify the people involved in Politkovskaya’s murder. Lawyers for Politkovskaya’s relatives also pointed out that they are in favour of another investigation and will seek its successful completion. “We want the real killer in the dock, and we will succeed,” said their lawyer Karina Moskalenko. The end of the Politkovskaya murder trial has left a wide space for heated and varied commentary internationally. The New York Times cites Sergei Sokolov, deputy editor of the newspaper Novaya Gazeta, where Politkovskaya worked. Sokolov attributed the result to “resistance from the whole system,” in particular the refusal to prosecute members of law enforcement and special forces. Similarly, the Wall Street Journal calls the verdict “an enormous setback to prosecutors and human-rights crusaders who hoped that Russia's court system could bring the killers to justice.” The newspaper also argues that all the trial’s proceedings were representative of the deficiencies of the Russian court system. “Rules of evidence are fuzzy and jurors, often suspicious of what prosecutors try to tell them, are inclined to acquit defendants far more than judges,” the Wall Street Journal claims. The issue of evidence is taken up by the British Guardian newspaper. The daily notes that despite a variety of evidence being collected over the course of the investigation, there were few clues as to who precisely was behind the murder over the course of the trial. The mysterious person who ordered the assassination has not yet been found – much to the frustration of the international media and human rights groups, as well as journalistic associations inside Russia. The French daily Le Temps takes the issue even further. 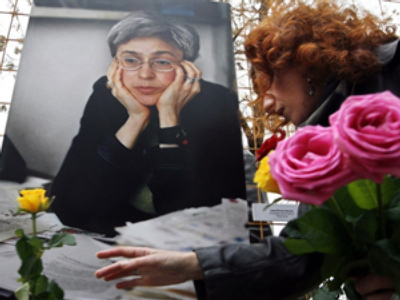 Its commentary calls the acquittal of the Politkovskaya murder suspects a tribute to her life – noting that the ruling tacitly shows that bigger forces are behind the crime. The process, according to the editorial, demonstrates that Russia’s criminal structures and secret services are closely knit together.